These sculptures are great for interactive kids museums, learning centers, waiting areas, and other places where hands-on is the goal. 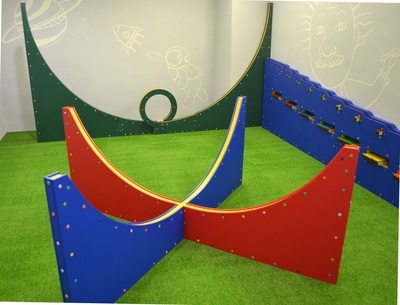 This new group of sculptures are called Immersive Rolling Ball Sculptures because of the way children become fully engaged and immersed in the operation of the sculpture. I spoke about the idea of Immersive Rolling Ball Sculptures at a TEDxVirginiaTech event in 2012 (click here to watch the talk), proposing the idea that kids need tactile experiences to help reinforce learning through play.